Why should you become our patient? Board certified in Otolaryngology - Head & Neck Surgery, Seth Silberman, MD, is an Ear Nose & Throat physician who takes his work and his patients’ needs seriously. Dr. Silberman specializes in finding the underlying cause of your sinus, sleep or hearing problem and matching it with the best treatment choice for you. We believe in listening to our patients, exploring the right solutions for their individual needs, and providing them with the best possible treatment for the best possible result. Our goal is a healthy, satisfied patient. 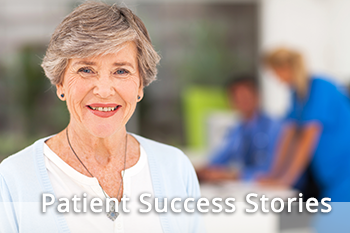 Let our patients tell you how they feel about their problem, their care at Cleveland Sinus Institute, and their results after treatment. When you choose the Cleveland Sinus Institute team, you’ll immediately notice our dedication to providing you with the finest personal sinus and allergy care. Arrive confident in knowing that our team of sinus and allergy care specialists will go above and beyond in bringing you the very best patient care. Call for your consultation appointment to restore sinus health! "Highly recommend him for any ENT issue!!" Extremely skilled and knowledgeable. Compassionate kind and prompt.